Do you want to live a healthier life while drinking something you love? Tea is the most popular drink in the world. Not even the biggest soda companies in the world can match the number of dedicated drinkers tea boasts. From China to England, tea is seen as a delicious and relaxing drink. But, tea also has many hidden health benefits. You can lose weight, look younger, increase your energy, and even fight and prevent diseases all by regularly drinking tea. 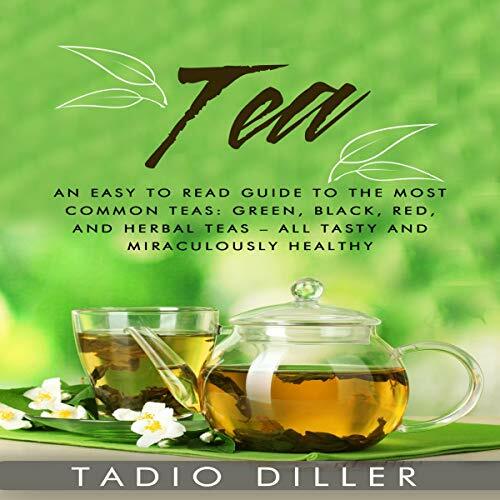 This guide will help match you with a tea that will not only delight your taste buds, but will also improve your health and change your outlook on life. Tea is one of the most ancient drinks for a reason. People all throughout history have discovered the relaxing and healing power of tea first hand. This book helps you unlock this ancient secret. If you want a natural, easy way to live healthier, this is the book for you. You won’t need any complicated diets, pills, or programs. All you will need is a tea set, some hot water, and delicious natural tea. Don’t wait a second longer to find out what tea can do for you. Get your copy right now!